I am so excited about this! I will be giving a masterclass at this festival, alongside some of the best players in the world, including Alain Perez, Pepe Albain and Gullermo Garcia! I am actually rather nervous about meeting these masters, I will certainly be attending all their workshops to learn from them as much as possible! The festival is called ‘todocajon’, which means everything cajon…. Apart from the festival, I am also performing with some great artists during my visit to Madrid. Yay! If you are in Madrid, send me an email and lets meet up and jam! 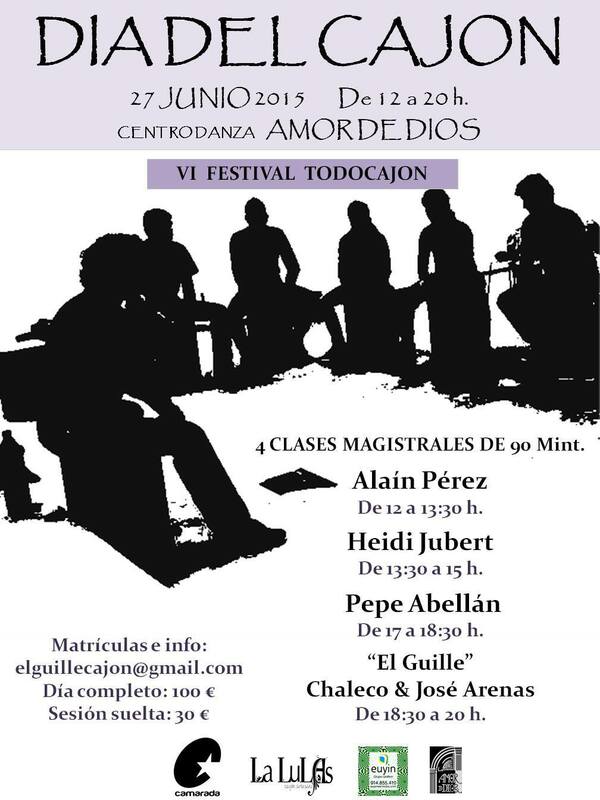 Some of my students from my London cajon school is making a trip down to Madrid to join the fun! Hopefully next year, some of you will also join us, let;s take over a hostel in central madrid and just play cajon all day!! 🙂 Rock and roll!! Pray for me to have favour and a great workshop! !